Myntra.com showcased their latest S/S 13 collection amidst a lot of glitterati. 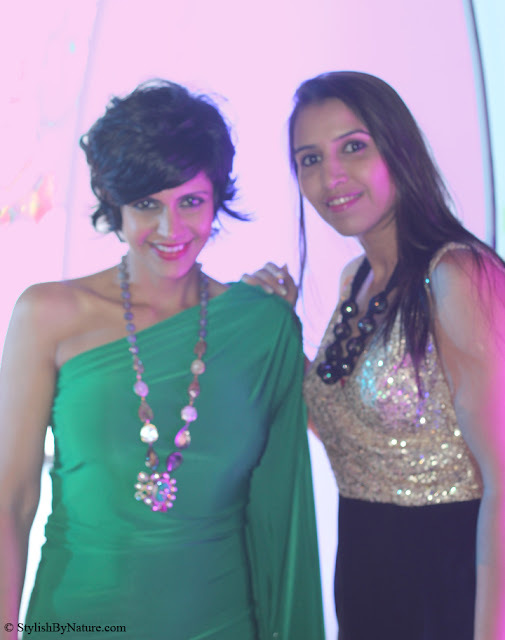 The evening was made glamorous by gorgeous Mandira Bedi. Wow! great show:-) Loved the chevron stripes dress and printed pants! Nice click with Mandira Bedi too..! Lovely pics..u n madira look grt. Very nice outfits! Love them! That dress in the 8th picture is so cute! Thanks for sharing this eye candy! Such stunning designs!! Love your outfit too! Looks like a lovely show! And Mandira looks awesome! I love the glittery part of your clothes. Wish you had put up the full length photos of your dress!